lighters are a very common aspect of american culture. during my high school and college experiences, i have had a lot of enounters with white lighters. 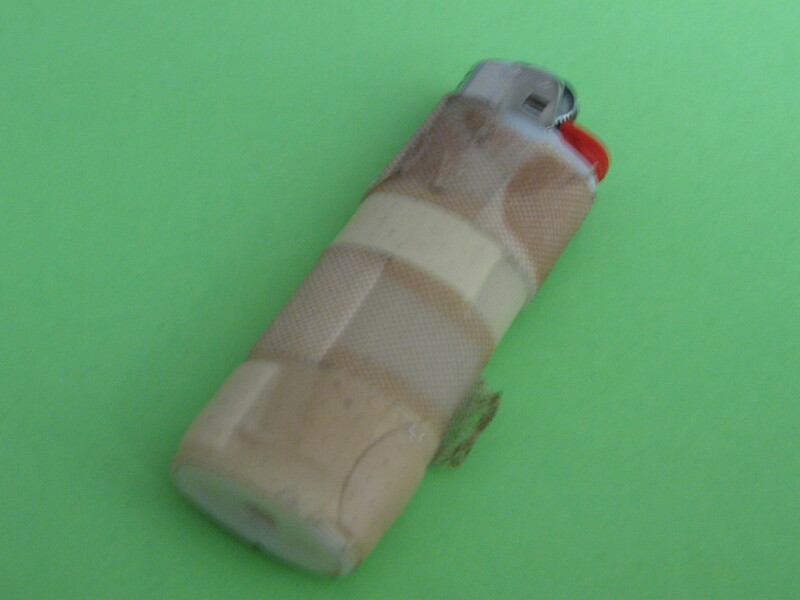 i’ve also heard many different stories of how white lighters bring bad luck to the people who use them. i’ve had experiences where i’ve felt that way so i thought i would do something to maybe decrease the bad luck vibes of the white lighter. since band aid’s are a well known reliable brand i thought why not cover up the bad white vibes and put some reliable band aid’s to shy the bad luck away.